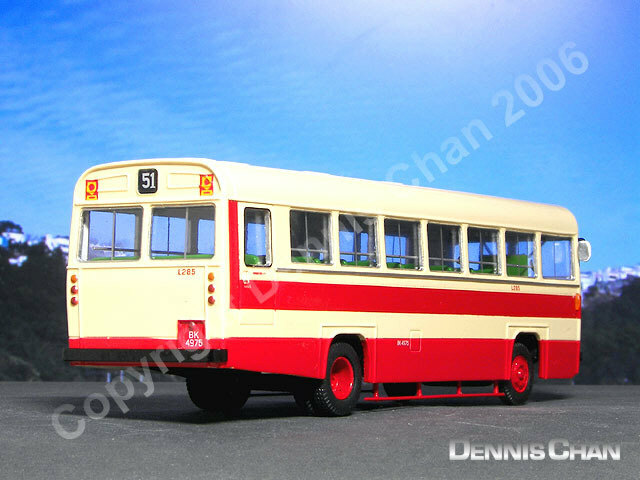 The model - This model was issued in Hong Kong on 3rd December 2006. 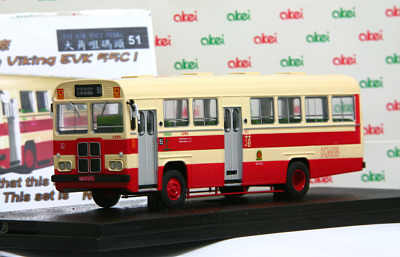 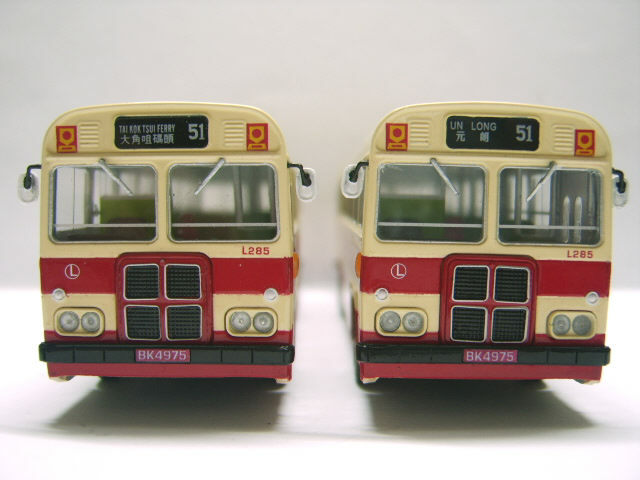 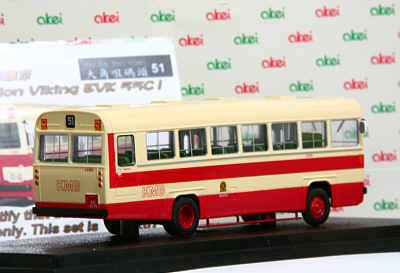 A total of 360 models were produced - half have a destination of Un Long and half with a destination of Tai Kok Tsui Ferry. 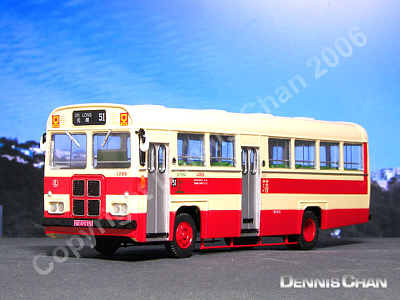 The bus - Kowloon Motor Bus took delivery of thirty Albion Viking EVK55CL chassis in 1976 and they were bodied in Hong Kong by Union Auto Body Builders (UABB). During their life several of the batch were totally rebuilt by KMB and others recieved other alterartions, most noticeble being the reduced height side windows.